Ah, the weather is warming up and it is starting to feel like Springtime! Know what comes with Spring? Spring Cleaning! Spring cleaning seems like such a daunting task. It is a complete clean of the entire house! However, I always feel better after it is done. A person does not need to do Spring Cleaning all in one day. Talk about burn out if you did! Take it one room at a time. It may take longer but in the end, you will feel much better. That is why these Spring Cleaning checklists are divided up into different rooms. There is a list for Living Room, Kitchen, Bedroom, and Bathroom. You may print as many Bedroom and Bathroom checklists as you need. Simply make note on the top of the page which bedroom or bathroom it is for. While working on each room, you may want to think about decluttering as well. 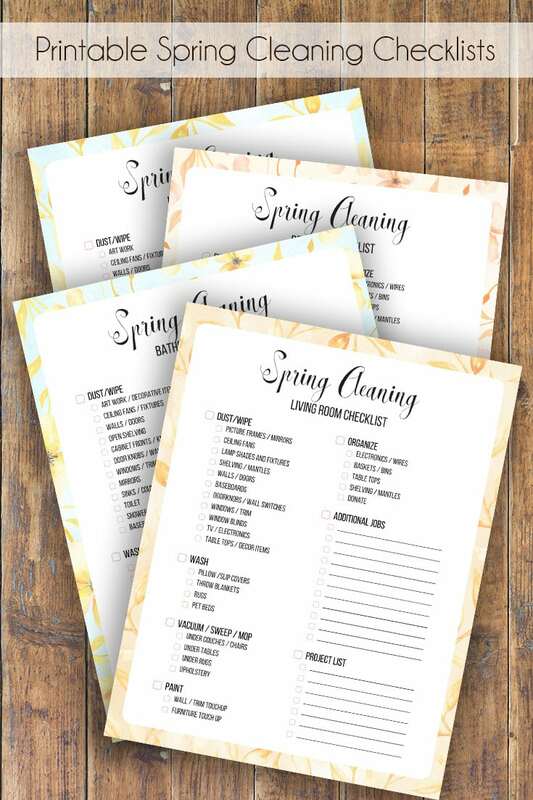 To get these printable Spring Cleaning Checklists, simply put your email in the box below. An email will be sent to you with the link to print.